Cook the buckwheat with the turmeric according to the package instructions. 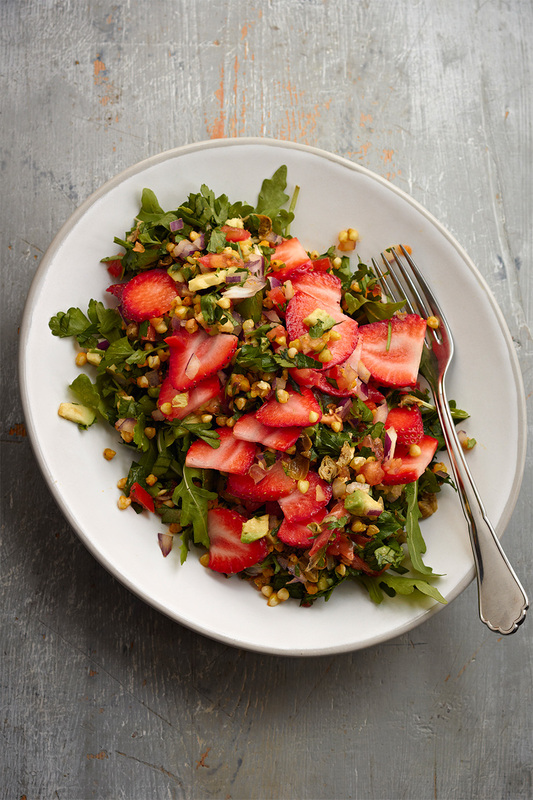 Finely chop the avocado, tomato, red onion, dates, capers, and parsley and mix with the cool buckwheat. 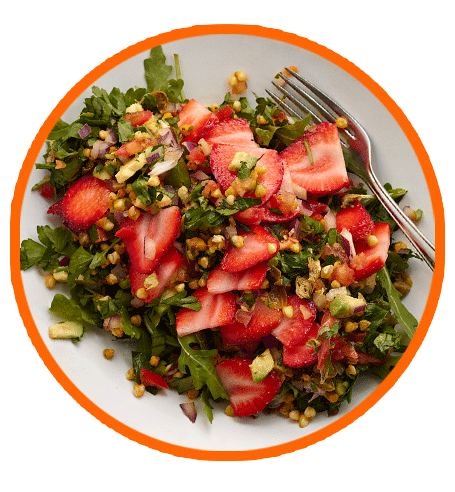 Slice the strawberries and gently mix into the salad with the oil and lemon juice. Serve on a bed of arugula.